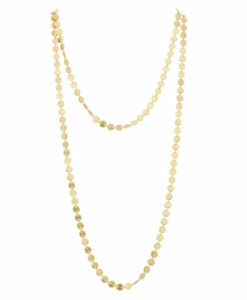 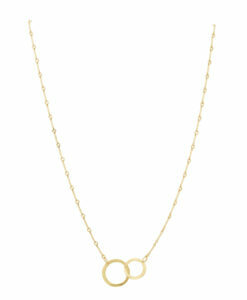 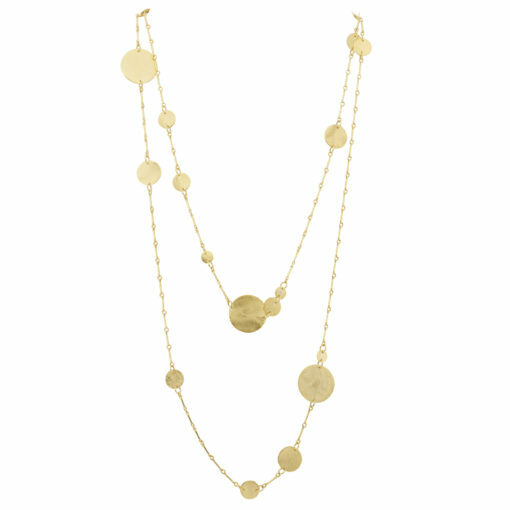 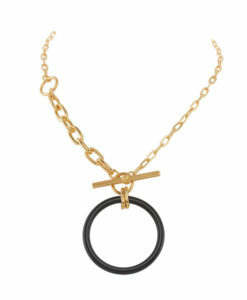 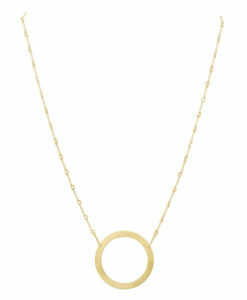 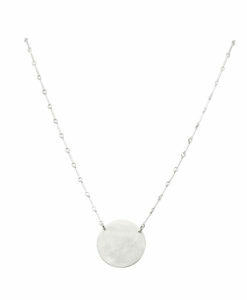 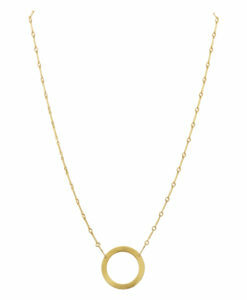 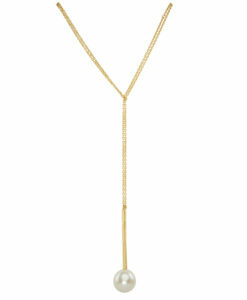 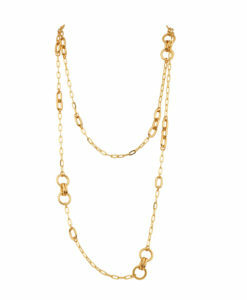 Versatile 40″ necklace with brushed discs of different sizes randomly interspersed on the chain. 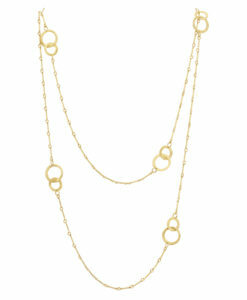 Wear it long or double it up. 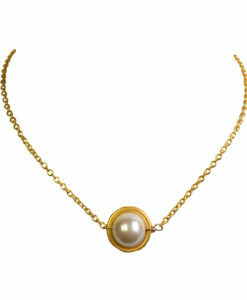 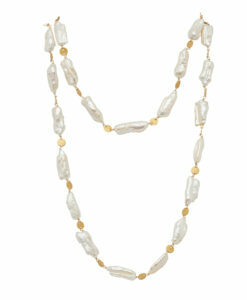 The necklace is 40″ long with a hand made and hammered S Clasp closure.